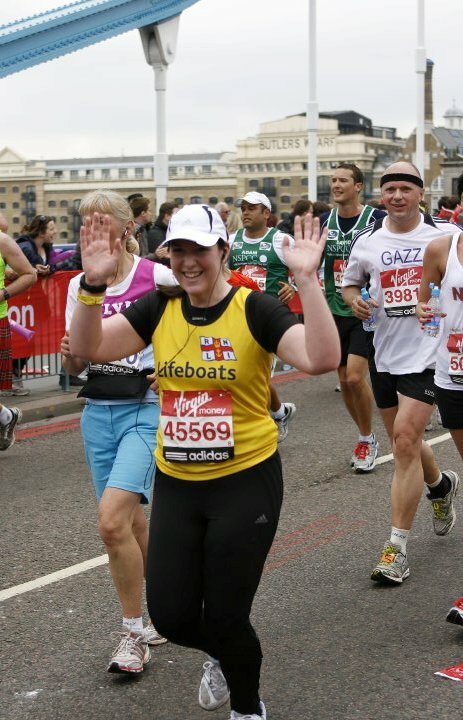 These days I call myself a runner...: I ran the London Marathon and have the medal to prove it! I ran the London Marathon and have the medal to prove it! I ran the London Marathon last weekend! I'm so pleased with myself to have actually got round and crossed that finish line as I really didn't train as hard as I should have done, and I think I paid the price as the run was sooooo much harder than when I ran the marathon in 2008. My finish time was 5hrs, 41mins and 36secs, against my previous time of 5hrs, 12 secs. Regardless of the time though, I have...so far...raised just under £2,000 for the RNLI so it was definitely worthwhile!! 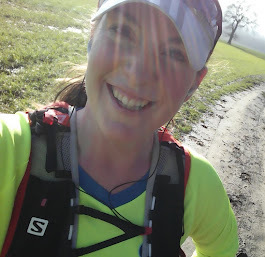 Despite running the last 10 miles thinking "I'm never, ever going to do this again!" what I'm now thinking, a week into recovery, is that I'm never going to do it with such inadequate training. I joined our local gym today...and I have a year to get myself fit enough to run a marathon at peak fitness. I think my aim should be to run a sub 4hr race next spring. It's pretty unlikely that I'll get a ballot place in the London Marathon for 2011, and as people have been so generous this year, I don't want to get a charity place, so if I can't do the London I'll probably sign up for Brighton or another more local run, but I will do it! So...this is a long term effort...not the 16 week effort that I embarked on this year. I'm going to cross train, get properly fit, lose the weight that I've put on since 2008 and do it properly, and to be honest I can't wait. My first session at the gym is tomorrow with one of the instructors, where we'll go through what I want to achieve and they're going to help put together a programme for me. I've never done this before, but I think this is the time, while I still have the drive and enthusiasm - the motivation - to actually start a fitness habit. Here's hoping I can actually see it through this time.